Residential Furnace Repair and Installation. Natural gas and oil furnaces have come a long way in technology, efficiency and reliability. This may be the only furnace you ever need to replace in your home. New warranties provide 10 years on parts and lifetime on heat exchangers. Furnaces repairs are more complex and require high tech skills from our trained professional technicians. So when your furnace starts acting up, call upon the trusted professionals at DESCO Services. We have extensive experience in repairing and installing all different kinds of furnaces. Our new furnaces provide up to 98% efficiency, single, dual and modulation stages as well as variable speed drive fan motors providing the optimum in energy savings, comfort and reliability. That makes for a drastic reduction in your monthly heating bills. Older furnaces usually last about 15 years before calling it quits. Older furnaces will also cost you more every month in utility bills. Simply because your existing furnace requires service does not mean we will try to sell you a new one. Unless the cost to repair is prohibitive. If we can repair your furnace, then our technicians will find a way to fix the problem. 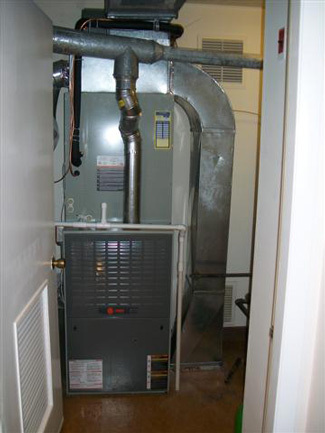 But if a new furnace is warranted, we will recommend one that will help you in the long run. Modulating furnaces with variable speed fan drives are available in gas, propane and oil. We offer furnaces by several manufacturers and types. Preventive maintenance contracts are provided at affordable rates to make sure your furnace continues to operate in peak condition. When you choose to upgrade your furnace, there are an abundance of more efficient options to choose from. DESCO Services will walk you through the entire process from start to finish. We also offer 24-hour emergency service that is available 365 days a year. Call today! In Hanover 717-637-2216 or Gettysburg 717-337-3053 or York PA offices 717-846-3384 or toll free 877-265-9764.